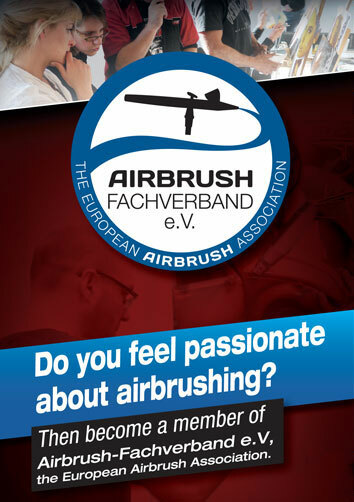 The annual Airbrush exposition has always been a big “family gathering” of airbrush fans from all over Europe. 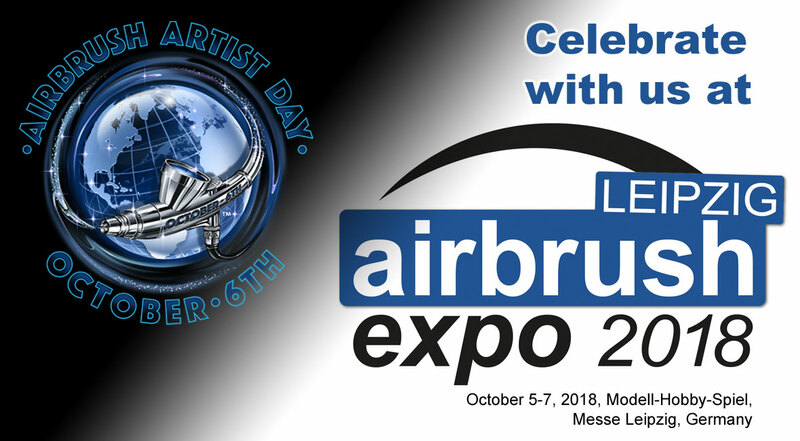 But this year, it becomes also a party zone, because there will be a very special day for airbrush artists in the course of the event: the Airbrush Artist Day on October 6, when airbrush artists from all over the world celebrate the 135th anniversary of the “Air Brush” device. For this purpose, the Airbrush Fachverband e.V., the organizer of the exposition, is coming up with something very special: For the very first time, it is granting the Airbrush Expo Award, where visitors can vote for their favorite work among the exhibited and nominated works of art by voting card. On Friday and Saturday, participants can vote for their favorite artwork. The award ceremony will take place on Sunday afternoon. Artists as well as participating visitors can win great prices, such as airbrush devices, plotters, airbrush starter sets, color sets and art books, which are sponsored by the companies Harder & Steenbeck, Createx, Airbrush-City, Tropical Airbrush, Theatermakeup.de and Airbrush Step by Step. For sure, voting for the Airbrush Expo Award won’t be easy, because the more than 20 artists from Germany and Hungary are true masters of their craft. The artists Stefan Bleyl from Dresden and Frank-M. Stahlberg from Worpswede, for instance, tell exciting and profound stories with their fantastic artworks, which inspire people to reflect. Marcus Ehmke from Jülich, Michael Jänicke from Dessau and Vera Sistig from Mettmann will impress visitors with their charming and extremely realistic portraits of human beings and animals. However, airbrush art does not only exist in the classical style on canvas or paper, but also on human bodies: Enrico Lein from Gosen turns his models with color and self-molded latex parts into fantastic and enchanting beings and with Mirko Gerwenat from Apolda, visitors can get prettied up with airbrush and glitter tattoos. In addition, Pia Achtenhagen from Berlin shows some great self-made and -painted animal models at her booth: Here “live” sweet, realistic turtles, but also fantastic winged horses, dangerous dragons or the so called Niffler, which is known from the film series “Fantastic Beasts and Where to Find Them.” The works by Jörg Schlonies from Darmstadt also focus on cute characters. He uses computer graphics, among other things, to create trolls and goblins. One of the highlights will be the painted Alfa Romeo Mito by Hungarian artist Mike Tamas, which can be admired in the fantastic ambience of the glass hall exhibition place. However, the other artists make an effort as well with their photorealistic artworks, appealing motifs and various painted surfaces in order to win the highly coveted Airbrush Expo Award. Visitors of the fair can experience what it means to create an airbrush artwork by trying the airbrush technique at the booth of the Airbrush-Fachverband. Roger Hassler, chief editor of the Airbrush Step by Step Magazine, and former airbrush shop owner Manfred Krätzmann offer one-hour airbrush workshops on all three days. 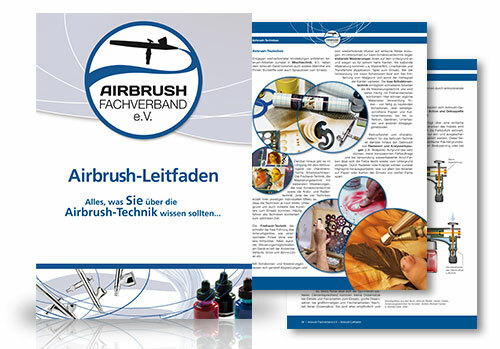 Of course, visitors are also cordially invited to get informed about the airbrush technique and the respective areas of application at the booth of the Airbrush-Fachverband or they can receive information directly from the artists. Further know-how as well as devices, colors and accessories for purchase are available at the Modell-Hobby-Spiel in hall 5 at Createx, Harder & Steenbeck, Tropical Airbrush and other airbrush suppliers. Also at the supplies booths in hall 5, you will be provided with workshops, airbrush tattoos and presentations of popular artists such as Marcus Eisenhuth and Holger Schmidt. The Airbrush Expo Leipzig 2018 and the Modell-Hobby-Spiel take place from October 5 to October 7 2018, from 9 a.m. to 6 p.m. and on Sunday from 9 a.m. to 5 p.m.